James Bavington is a Director at StrategiQ, a full service digital agency based in Suffolk. With a background in traditional design, James naturally progressed onto the web and is an experienced self-taught front-end developer with a passion for SEO. Prior to joining forces with StrategiQ, James worked for almost ten years as a founding member at Creare, an agency in the Midlands that work with small businesses. 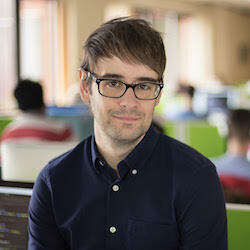 Always remaining hands-on, James specialises in user experience, WordPress, Magento, Technical SEO and local search.